The photography exhibition was inaugurated on 18th May by Shri Suresh Shetty, Hon. Minister for Public Health and Family Welfare, Govt. of Maharashtra. The exhibition was a display of images taken by children whose eyesight were restored only recently with Sightsavers support. 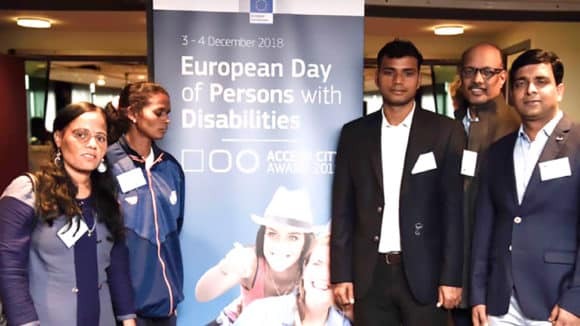 We were also privileged to have the presence of Mr Prasannakumar Pincha, Chief Commissioner for Persons with Disabilities, Government of India; Ms. Karuna Bhatia, Head of Sustainability in India & South Asia, Standard Chartered Bank and Dr Caroline Harper OBE, Sightsavers’ global CEO to grace the event. Ms. Elizabeth Kurian, CEO (India) was also present. The photographs at the exhibition were a result of a three day workshop which Sightsavers did with these children, introducing them to the basics of digital camera and the nuances of digital photography. 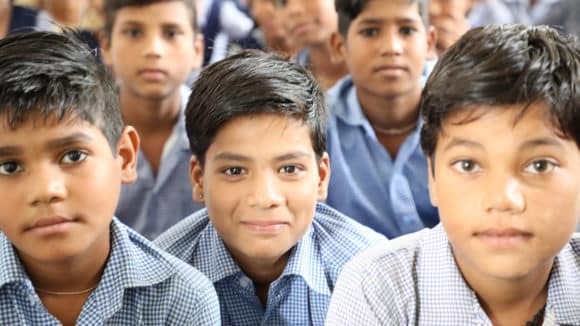 We were pleasantly surprised to see how quick these children learned the art of photography, the quality of photos that they clicked were the testimony in itself. For these children, being able to see again or see better was the most joyous feeling they have experienced thus far. We chose photography as it aptly captures the world as we see. We wanted them to capture the sights that gave them the happiness of being able to see again. We saw many enthusiasts and supporters visit the exhibition on 19th & 20th of May, the days it was open for general public. A workshop & exhibition like this gives a boost to the confidence of the children who really need very little encouragement in exploring newer fields. May be we might find some of these children taking up photography as a career option too. 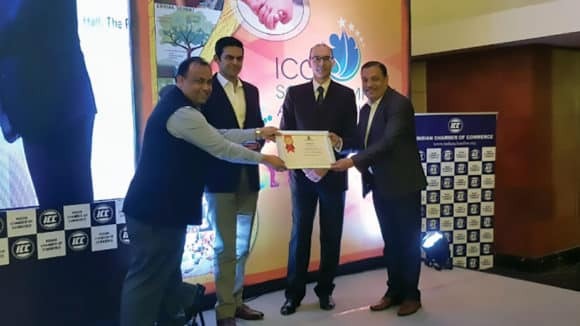 These children whose photographs are being exhibited come from economically backward families where expense on healthcare would normally be a huge burden. 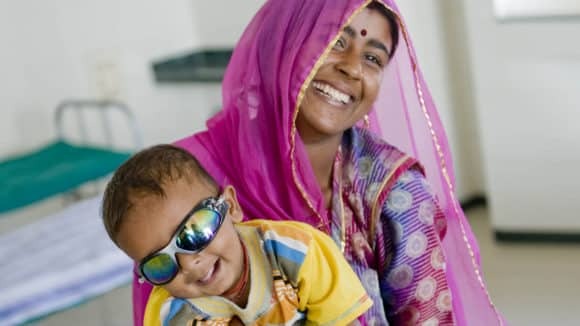 Due to the work by Sightsavers partner Sankara Eye Hospital and National Association for the Blind (NAB) – Karnataka, the children were identified as having some eye condition that needed treatment. They were identified either through the door-to-door screening done in communities or in schools or by referrals by school authorities or people in the community. Sankara Eye Hospital has provided them with the best eyecare possible to treat their eye condition. 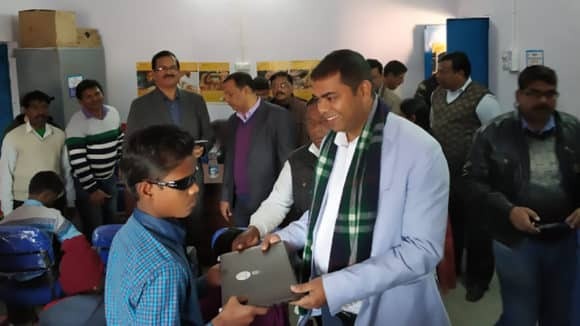 Where visual impairment persists, the social workers from NAB have been counselling both the children as well as their families to reorient to the new circumstances and helping the children learn new skills to become independent (e.g. Braille, daily living skills etc). The costs for treatment as well as post-treatment rehabilitation/guidance is done at no cost to the families of the children.